Now, the question is to how to convert one to another? Well, if you good with soldering and have enough time to spare – you can sure and with ease produce an adapter to do the job. people are unaware about the fact that 3.5mm mobile headsets aren’t exclusive to iPhone. In fact there is vast number of better phones, using this type of connector. Long story short, after some elaborated googling I’ve found this adapter or headphone/mic splitter cable, mistakenly called ‘iPhone headset adapter’. Hopefully this little article will help someone to safe a bit of time, when in need to find such an adapter. The cable is clearly handmade, although very professionally and nicely. And the best part of the story that it DOES the job: I can use my new Shure I2C-M with my laptop to listen a music or to make VOIP calls! The quality is good and I can’t hear any artifacts neither in the audio nor in my recorder voice. 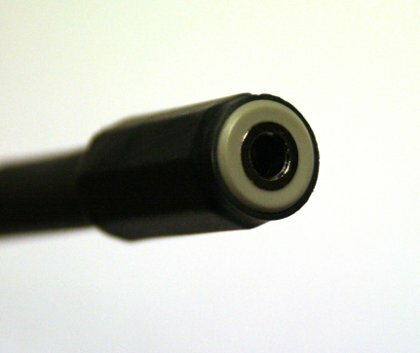 Conclusion: ordering the cable like this worth the time and money if you aren’t capable of soldering a couple of wires and some connectors. Otherwise, you might be much better off going to the local electronic store for some low cost components and making your own one!